World Wide Waftage - Wafting Through Our World Wide Travels with Ease, Joy and Simplicity: Finally a diagnosis and..we don't like it...Oh, my!.. Finally a diagnosis and..we don't like it...Oh, my!.. Ms. Bushbuck always appears to have a smile on her face. Love her and her offspring! The four piglets certainly have grown over the past six months. They are so fun to watch. Sorry I didn't post yesterday. With the news from the doctor on Thursday after the angiogram, I just didn't have it in me to sit down and write on my phone's small screen. My laptop was in a repair shop in Nelspruit while I stayed overnight in the hospital. Thankfully, they got it working again. There was an issue with the electrical plug-in. I'll get to the bad news first, to avoid drama and anticipation. I have three 100% blocked coronary arteries including what is called the "Widow Maker" (in this case, the 'Widower Maker). Basically, I am a walking time bomb. I need coronary bypass surgery and I need it fast. It's scheduled at the hospital with a thoracic surgeon that works with the cardiologist I've been seeing. They both will perform with the surgery. I feel as if I'm in good hands based on the number of positive comments from locals who know them well. I have no choice. At this point, I cannot fly on an airplane or even be active for that matter...too risky. We are both shocked. How did this happen? The doctors say there was nothing I could have done to prevent this situation. Heredity is the driving force and as hard as I've tried to stay healthy my entire life there was no way I could have prevented this outcome. Of course, we are very grateful a diligent doctor, Dr. Theo Stonkquist, a GP in the little town of Komatipoort had the insight and expertise to insist I have an exercise stress test at his office last Saturday when I complained of intermittent jaw pain which was later described as angina. Although I breezed through the stress test with relative ease, barely out of breath, the printout didn't look good. Dr. Theo immediately contacted Dr. Fanie in Nelspruit on "Whatsapp" and sent him the report. He was adamant we get to Nelspruit to the Mediclinic first thing Monday morning for more tests. For the early morning appointment, we booked a hotel near the hospital and stayed two nights. On Tuesday I had a CAT scan of my arteries and failed that test and others miserably. An angiogram was scheduled for Thursday. We returned to Marloth Park, spent one night and called Dr. Fanie the following morning at 9:00 am. He was short and to the point. I definitely needed an angiogram promptly when the CAT scan showed one artery had a 100% blockage. In the cath lab the next afternoon, after a many hour wait for my turn, I was told I'd be awake for the angiogram with only a mild sedative placed under my tongue. Actually, it was quite interesting watching all the monitors showing my heart and its arteries. The doctor, anesthesiologist and about seven support staff were informative and supportive. Ms. Bushbuck's baby has sure grown over the past many months as well. We'd hope he'd insert a stent and I'd be done. But, not the case. The angiogram revealed, before my own eyes, that three of my coronary arteries are 100% blocked. If I'd had a heart attack, he explained, I wouldn't survive it. I'm so grateful this was discovered before we left for Kenya, known for not-so-good medical care. Toward the end of the hour-long angiogram, the doctor explained (and showed me) why stents were impossible to place. The only alternative was a triple coronary bypass which is scheduled for Tuesday next week, a mere three days from now. I'm on medication in the interim and was told to avoid anything strenuous or stressful. The strenuous part is a breeze. The stressful? Well, I can't imagine anyone on the planet not feeling a bit stressed over such a thing as open heart surgery, including striping arteries from their legs to replace those blocked in the heart. However, we are both so grateful this was discovered in time and pray for a safe and good outcome and speedy recovery. As they say, "we may be down but we're not out." Hopefully, six weeks from the time of the surgery, we'll be boarding our ship from San Antonio, Chile. No pressure, just wishful thinking. No doubt, I will be a good patient and do everything I can to recover as prescribed and we'll continue on with our world travels. As for the posts??? We will continue tomorrow, Sunday and again on Monday while I staying overnight in the hospital for Tuesday's surgery. As of Tuesday, February 12th the posts will cease for five to seven days until I'm well enough to report. I can't wait for that day! Tom will be regularly posting updates on my Facebook page which is open to the public. Please start checking back here by next Sunday. Tomorrow, we'll be sharing the news on how this situation has been handled by our annual international health insurance company which information may be helpful for those traveling the world, expats and those contemplating traveling. No words can describe how grateful we are for the outpouring of love and prayers from family, friends, and readers from all over the world. We simply can't keep up with the email messages, comments, and texts. We'd love to respond to each and every one of you but there simply isn't enough hours in the day. We can only be humbled by your love, prayers, and kindness. A special thanks to friends Kathy, Don, Linda, and Ken for inviting us for dinner last night (which was the originally planned night of our going away party - since canceled) and making the evening so filled with caring conversation, love and laughter. Tonight, we all meet up again at Jabula, our usual Saturday night out. Thank you...from the bottom of my "heart." A sea of penguins. For more details and final photos, please click here. Linda, thank you so much, dear friend for your kind words. We can't wait to write the good news here when its all over. Dear Marja, thank you for your thoughtful comment. 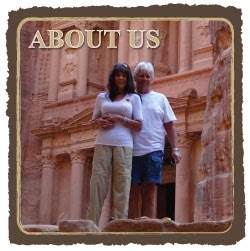 We look forward to returning to our world travels and sharing our story with you! Will be praying for you and sending positive thoughts. Sam and Carolyn, thank you so much for writing and your kind wishes. Hopefully, soon, this will all be behind us and we'll carry on with our travels. Helen, I remember our shopping day in Hawaii and the rocky return to the ship on the tender. Yiu are so thoughtful and kind just as I remember. Much love to you.